Normally on Friday's I create a fun outfit for the My Friday Fancies link up. I just was not feeling up to anything blogging related. 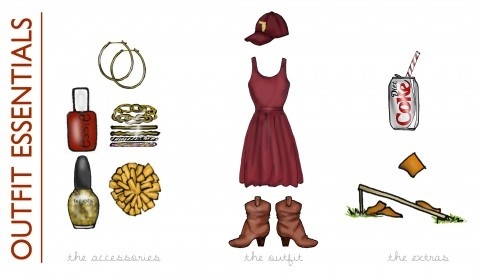 It's perfect because its a whole outfit she designed around Florida State! I had no idea Ms. Brooke was a Florida State fan! So this now makes her even more fabulous! Happy football weekend to you all! That's a creative way to put a look together. Your header for your blog is awesome!!! I love it!